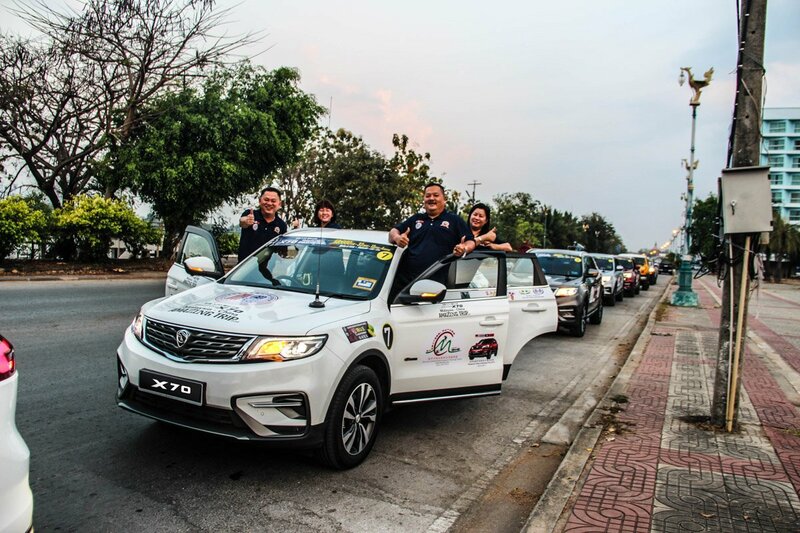 Proton X70 owners have come together to organise an overland trip spanning four countries, 13 cities and 13,000km. 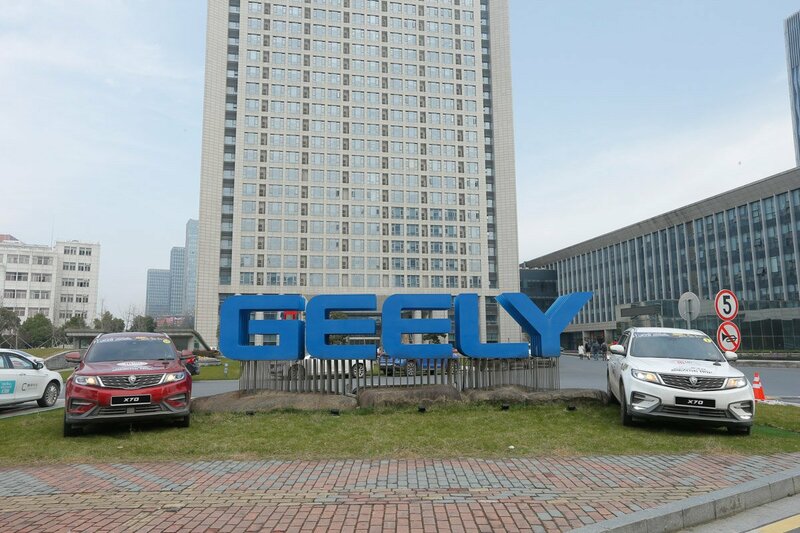 Their destination was Hangzhou, China, the most populous city of the Zhejiang Province and home to PROTON’s joint venture partner, Geely. 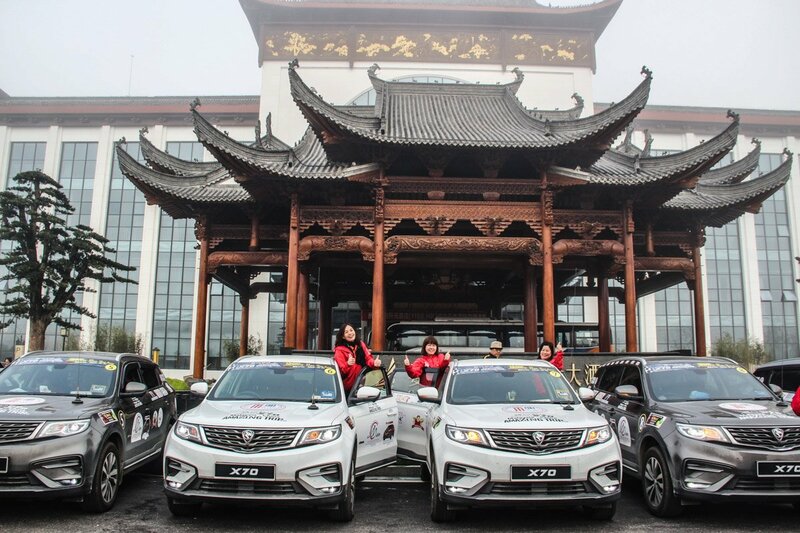 Led by the Borneo Automobile Leisure Touring Team and the Kunming Scenery-Customer International Travel Co. China, the trip is supported by PROTON. 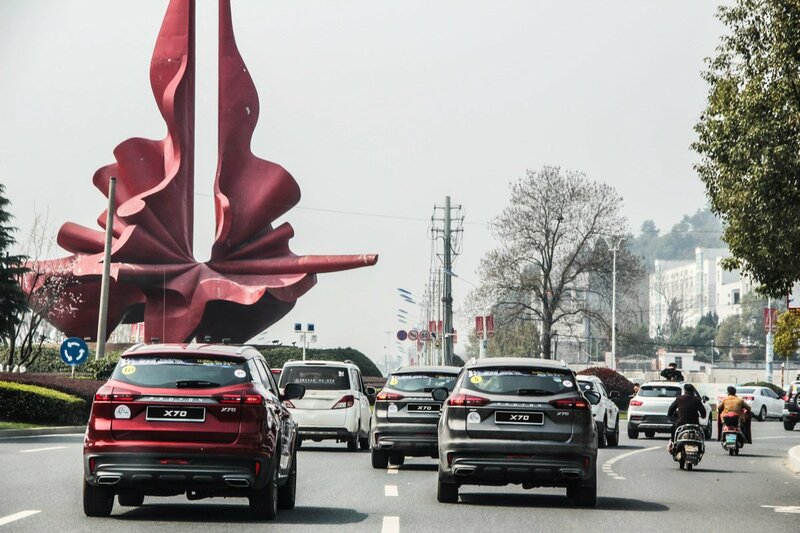 PROTON has set up checkpoints along the route, at selected dealer outlets and service centres such as PROTON Juru Auto-city and Platinum Lifestyle Sdn Bhd to welcome the participants and to reflect the company’s commitment to care for its customers. 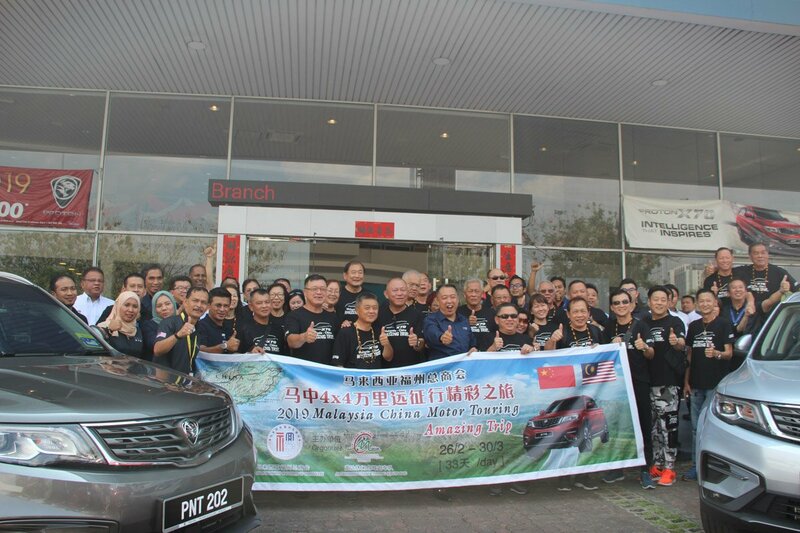 Beginning with a flag-off ceremony at the PROTON Centre of Excellence in Shah Alam, the entire trip will take the 33 participants approximately 33 days to complete. 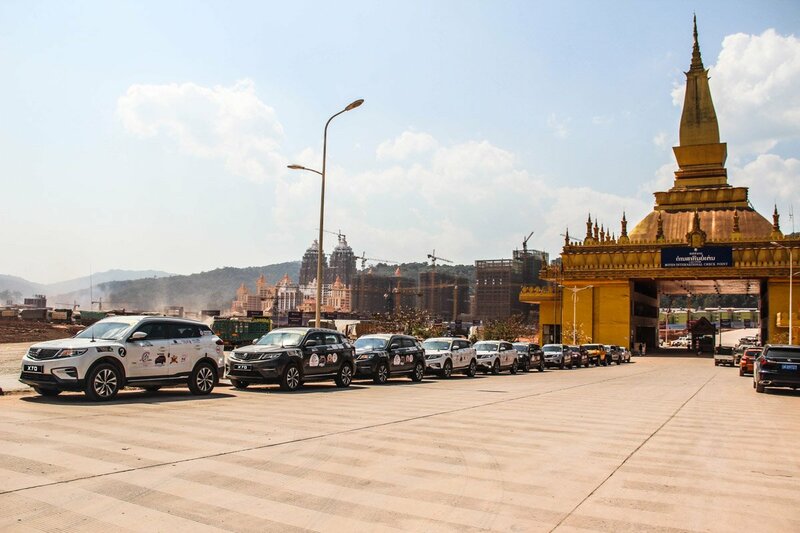 The route will take participants through Malaysia, Thailand, Laos to China and back. 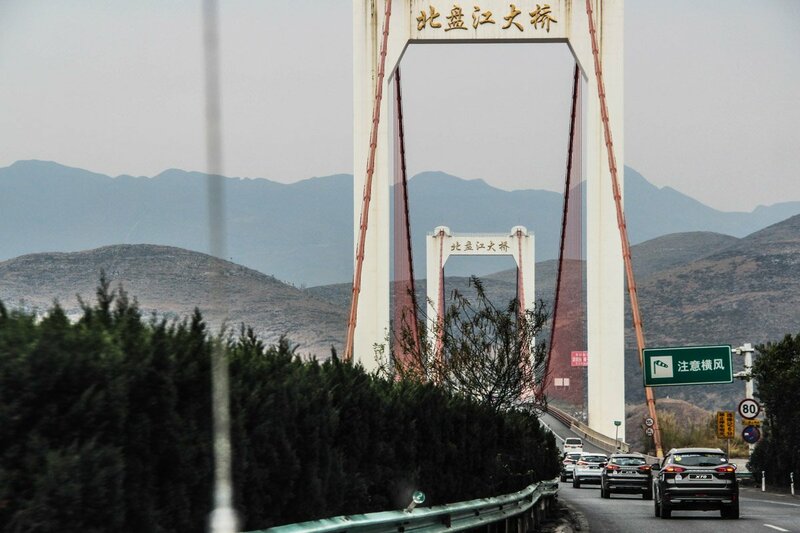 After entering the border, participants were required to apply for a temporary driving license to be able to legally drive in China. Cars were inspected by the traffic police in Mengla, before receiving their road tax stickers and temporary driving license. 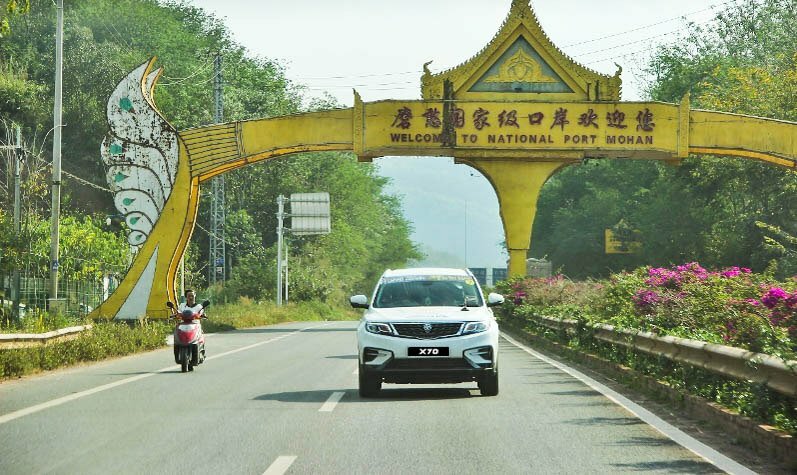 Mengla County is under the jurisdiction of Xishuangbanna, in far southern Yunnan province, China. The group then drove from Mengla to Pu’er, stopping by the Wild Elephant Valley. The Wild Elephant Valley is one of the world’s most fascinating forest parks and is known for its primeval tropical rainforest and flocks of wild Asian elephants. It is said that currently about 130 wild elephants frequently appear in the park. The day began with tea shopping as Pu’er is a county named after Pu’er tea, a major regional product. From Pu’er, the group proceeded to the Stone Forest in Shilin, a UNESCO World Heritage Site with spectacular set of limestone pillars, representative of south China’s karst landscape. 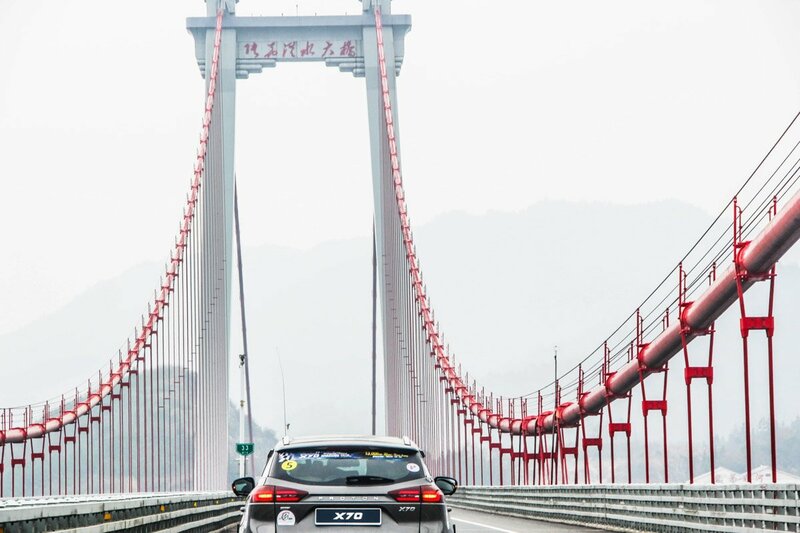 Travelling to Shilin took the participants through mostly straight highways. 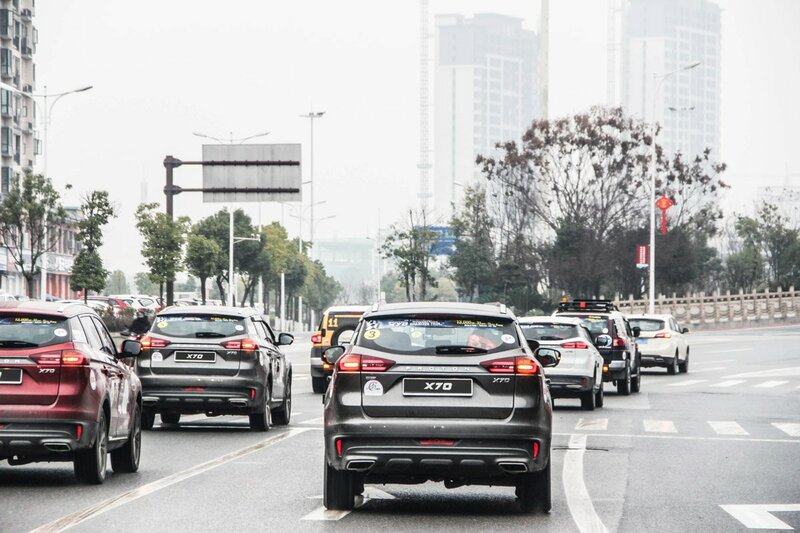 Thankfully, the Proton X70’s adaptive cruise control helped maintain a safe distance to the vehicle in front and kept drivers within the speed limit. As the convoy headed north, the climate became increasingly colder, which significantly lowers the pressure in their tyres. Thanks to the Proton X70’s real-time tyre pressure monitor, keeping an eye tyre pressures was a breeze. Every morning was a 6, 7, and 8 routine. The group woke up at 6am, breakfast was at 7am, and by 8am it was time to depart. This was necessary as there were many interesting places to visit! After breakfast, the group departed towards China’s 24-bend road in Guizhou. Driving on the single-track road isn’t as perilous as it looks from afar. 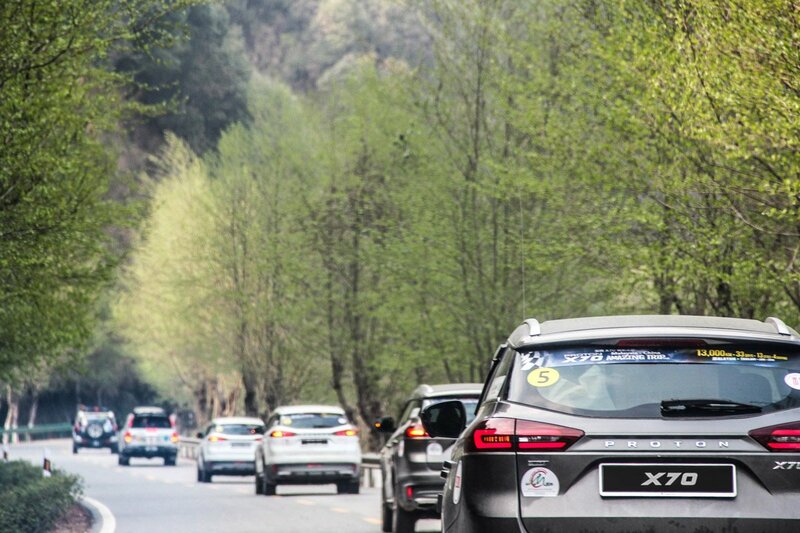 It climbs 350 meters in 4 km, but the ascent feels fairly gentle for the Proton X70. To tackle the bends, the convoy turned their steering settings to Sport mode, allowing them to manoeuvre through the bends effortlessly. Beyond that was Qinglong, a town that was known in wartime as Annan, where the group stopped for lunch and had some famous Qinglong delicacies. 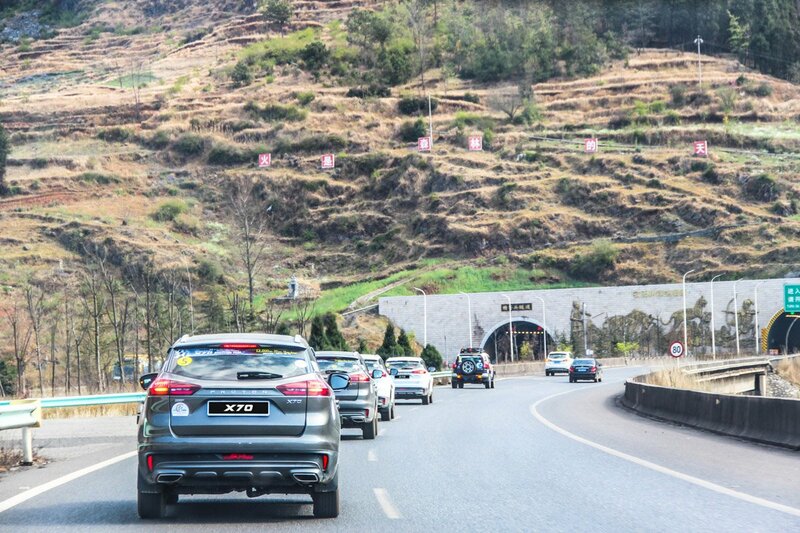 Driving up to Fenghuang, one of China’s most famous “Ancient Cities” was a breeze with the Proton X70. 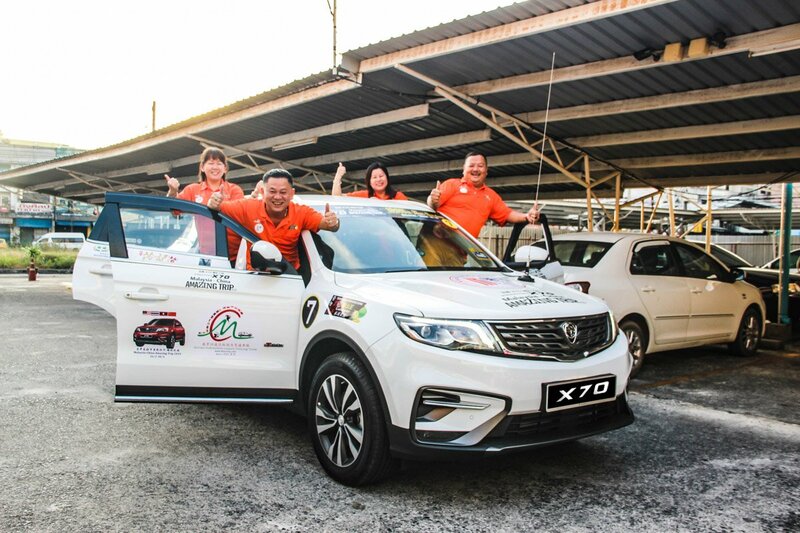 Though it weighs 1700kg without occupants and their luggage, the Proton X70 remained sprightly thanks to the and the 182 hp 1.8-litre turbo engine that also produces a class leading 285Nm of torque. Furthermore, the Proton X70 did an excellent job of just sipping fuel by managing an average reading of between 7.4 to 7.8 L/100km. Today, the group headed to Zhangjiajie, which is located in central China, northwest Hunan Province, over 1,000km from both Shanghai and Beijing. The comfort turned suspension of the Proton X70’s nicely cushioned the imperfections of the bumpy roads, leading to a serene ride and silent cabin. 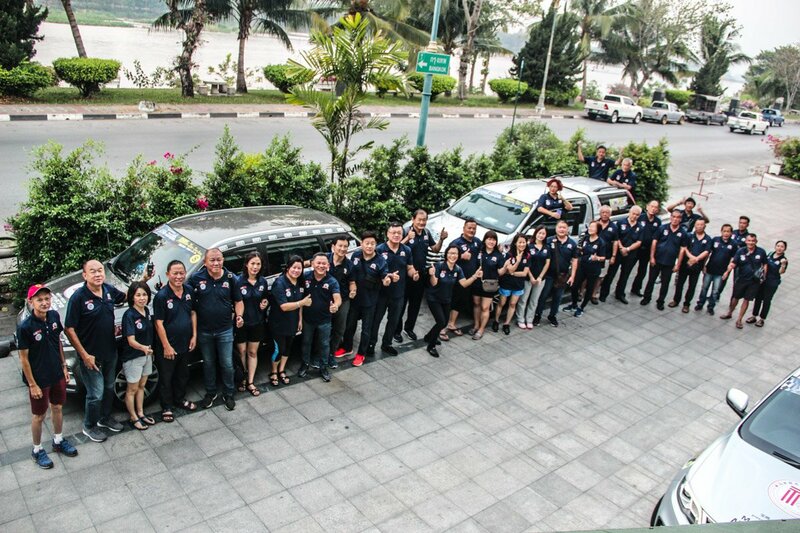 At the end of every journey, the group was able to see just how far they had driven, thanks to the Proton Link app, which not only allows owners to see the mileage driven, but also give a quick look at vehicle status data like fuel level, remaining travel range, average fuel consumption and a trip log along with current vehicle location. The morning was gloomy and with the temperature approximately at 8 C, it was cold as well. 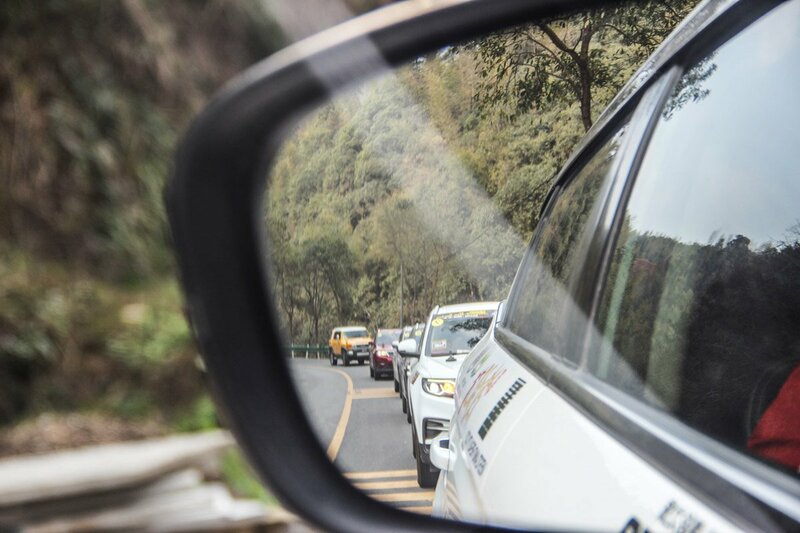 Nonetheless, it was a good day to drive to one of the most scenic locations in the trip – Zhangjiajie. Fortunately, the air-conditioning in the Proton X70 comes with a heater, so the group was able to keep the cabin warm during the journey. Another small challenge that the group faced during that day was the fog. Visibility was reduced, but with the standard fit fog lamps and daytime running lamps, the group was visible to all road users. The group visited the Three Gorges Dam, before proceeding to the Geely 4S Centre in Yichang. Yichang is a lively, sprawling, modern city on the banks of the Yangtze River in Hubei Province. Yichang lies at the eastern end of Xiling Gorge, one of the three gorges of the Three Gorges Dam area. 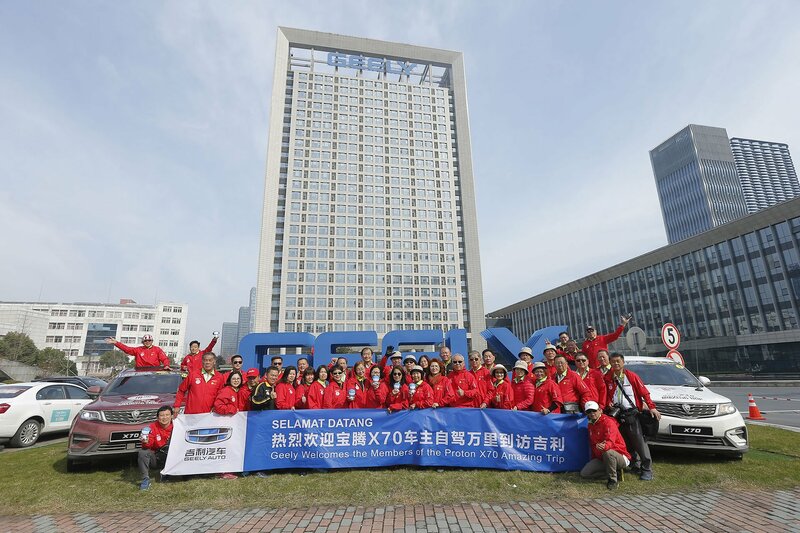 The group took photos with the Geely Boyue and had refreshments, courtesy of the dealer. Staff ushered them in and introduced the models that were on sale in at the outlet. 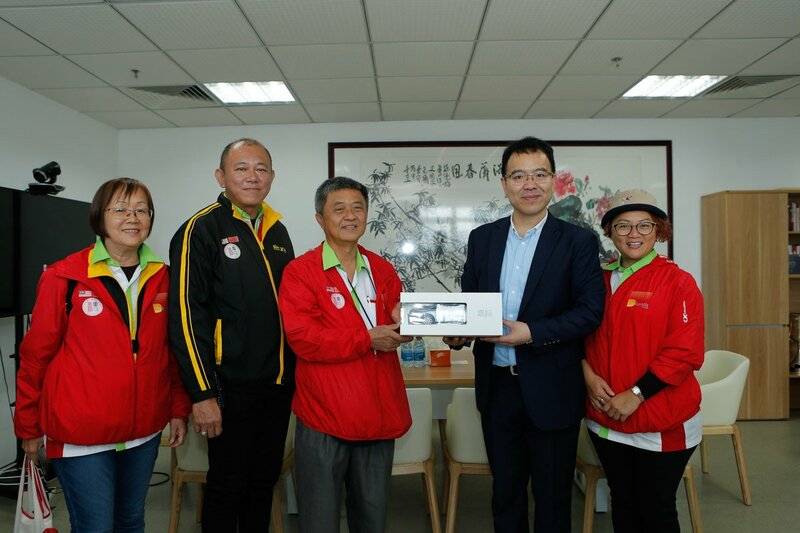 Dr Ling Tung King, organiser of the trip, presented an appreciation speech and the ladies were presented with flowers in conjunction with International Women’s Day on 8 March. 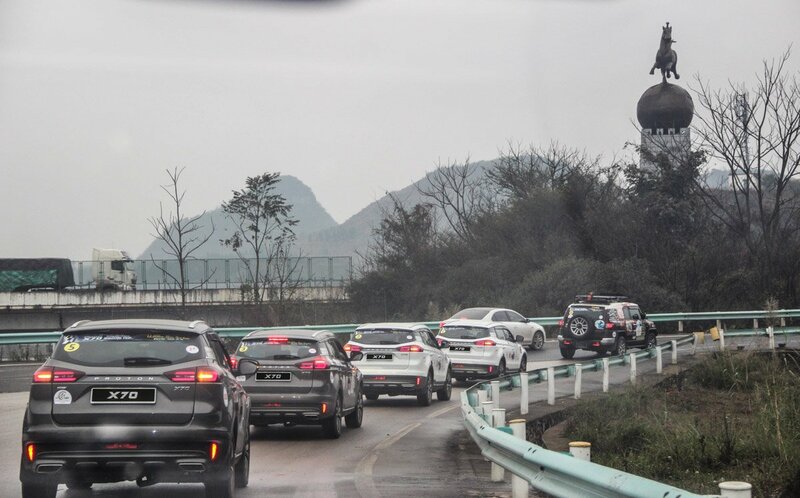 One of the longest days in China, the group travelled on several different highways to reach their next destination – Jingdezhen – which is the world renowned Porcelain Capital. The Proton X70 comes equipped with different Drive Mode selections and can be switched between Eco, Normal and Sport for a smooth and responsive drive to suit the driver’s driving style and road conditions. Most driver used the Eco mode as they were always on highways, prioritising fuel economy over outright performance. The Proton X70 comes with powered seats for the driver, making it easy to switch drivers during the long journey. The Premium 2WD version has an additional 2-way power lumbar adjustment, for added comfort. As Jingdezhen is famous for its porcelain, trip participants shopped for souvenirs. With its rear seats folding flat in a 60:40 split, the Proton X70 has plenty of luggage space for gifts. Between Wuyuan and Huangshan, the journey included plenty of ascents and descents. Drivers utilised the Hill Descent Control on the tougher slopes to keep the speed down to 4km/h. 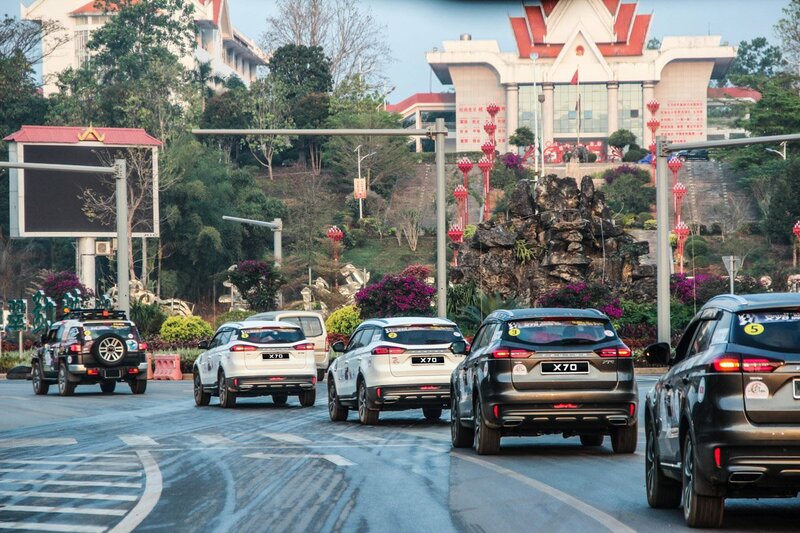 Meanwhile, those driving the Proton X70 Executive AWD benefitted from their vehicles automatically switching between FWD and AWD during unfavourable road conditions. Located in the northeast of Jiangxi Province, Wuyuan is located to the East of the national historical city – Quzhou, West of the porcelain capital – Jingdezhen, and North of the national tourist attraction – Huangshan. It is not only a well-known cultural and ecological tourist area, it has long been known as “the Hometown of Books”, “the Hometown of Tea”, and even “the most picturesque village of China”. Huangshan, one of the most popular tourist destinations in China, is steeped in picturesque natural landscapes and rich history. The trip to Hangzhou, China took 18 days, and 7,000km. 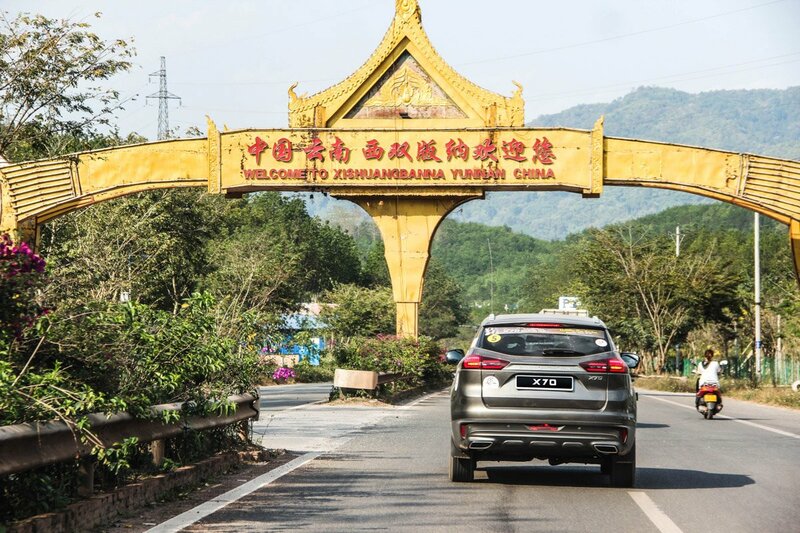 Throughout the journey, the Proton X70 proved to be of road worthiness when handling different terrains with its 1.8 TGDI engine and various intelligent features. 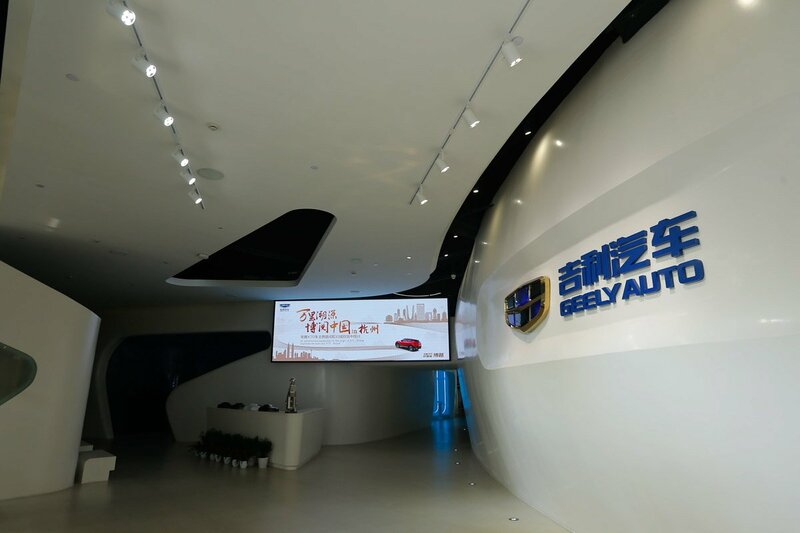 The group travelled to Hangzhou and paid a visit to Geely Headquarters, where they toured the Geely Experience Centre. 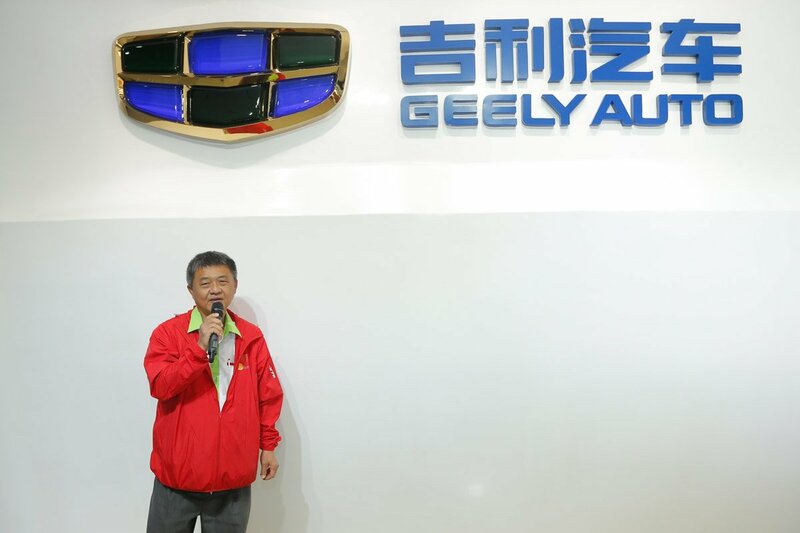 The group were informed that Geely obtained its manufacturing licence from the Chinese government in 2001. In 2012, it became a Fortune 500 company. 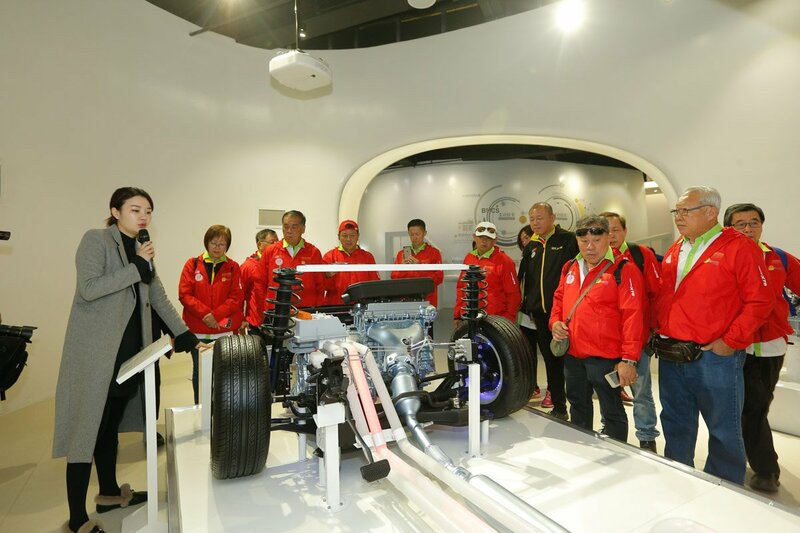 Walking through the Geely Experience Centre was an enlightening experience as participants were shown the rapid pace of development that Geely underwent. 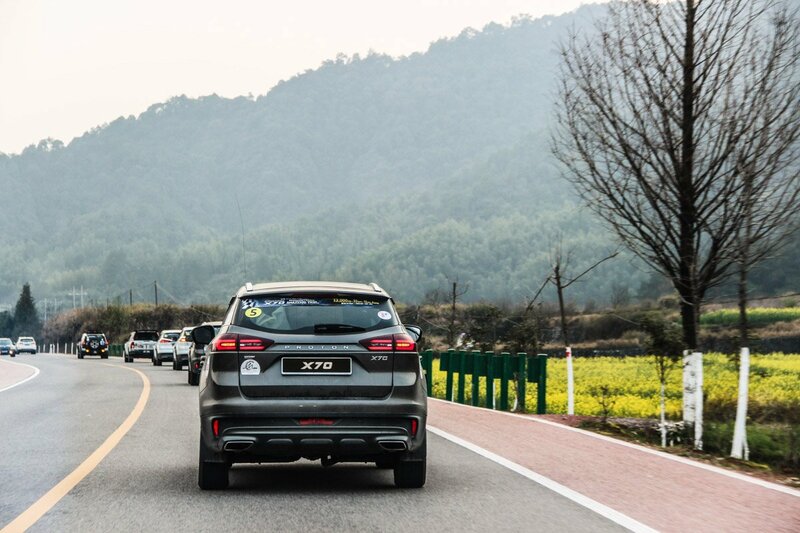 It was interesting to note the development of Geely products, from its first attempts to the Jia Ji, which is the newest car in its range and a testament to the progress the company has made.